So Disney is coming out with a new movie - African Cats and I cannot WAIT to see it. 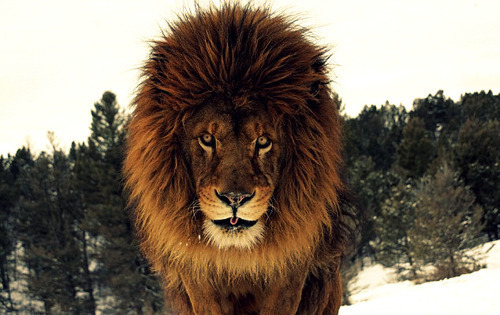 Lions are my favorite animal. It is my lifelong dream to pet one (well that and meeting the Possessionista.....obviously). 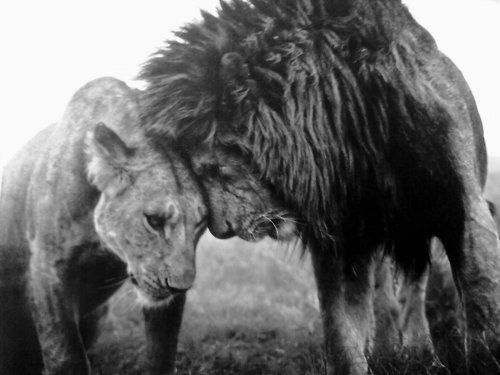 I have a strong affinity for penguins and dogs of any kind too but.....I definitely adore some lions. They're so powerful and strong yet so fuzzy and lovable at the same time. My favorite animal is a Koala bear. P has a cat and always looks longingly at big cats saying "they look like my madison!" I can't wait for this movie! 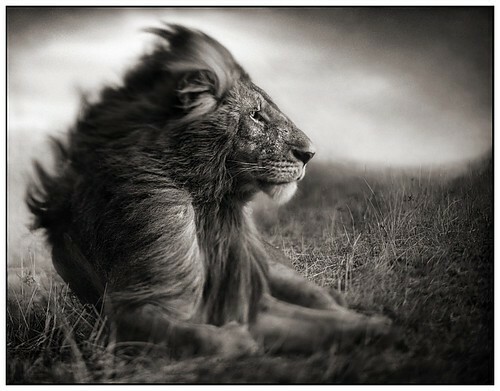 I LOVE lions! But my faves (besides dogs) are Turtles! I love Otters too! 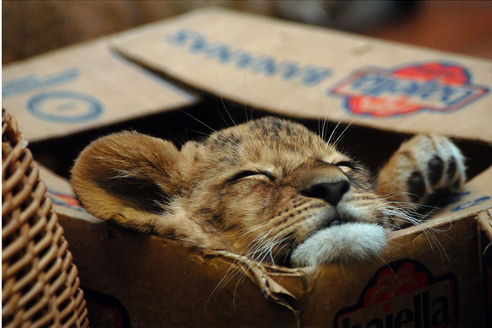 lions are awesome! i think i'd like to have a cheetah or perhaps a baby elephant. Lions are beautiful creatures in their own unique way...their hair and the color...amazing! That movie does look cute...takes me back to The Lion King! hehe. I want to see this movie too! I don't think hubby does though. 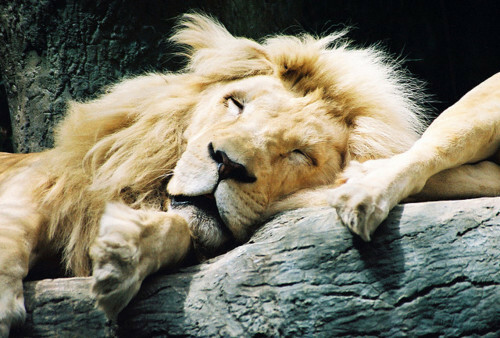 Lions are awesome..and I really want to pet one too. you MUST watch the Christian the Liol videos. there is also a book. you will weep with joy over this creature. ELEPHANTS!!!! but oh my goodness i adore myself some lions too!! LMAO - your "lifelong dream" to pet one. I love you! You are hilarious and seriously every time I read your posts I think we should be BFFs. Plus your gorgeous and I wish I could be you. awhh. the first time i watched lion king, i was soo scared i snuggled into a sleeping bag i was sharing with a friend (circa 9 years ago). owls are definitely my favorite - they're sooo stinking cute when portrayed by decorative nick-nacks and pillows. but i also loove koala bears and albino squirrels. i sincerely hope you get to pet a lion sometime soon! :) happy FRIDAY. awwwwww. the little cubs are cute. besides my pup, i love penguins! or any baby animal!! so cute!! They really do look so snuggly. Until they bite your face off. Haha. 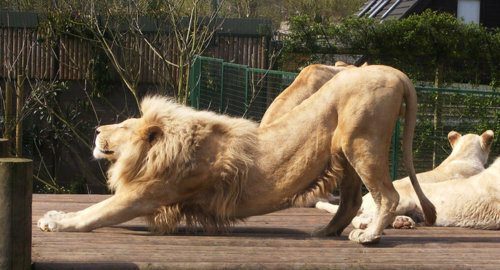 Oh ahahaha that lion stretching reminds me of my DOG...and my cat! Haha! 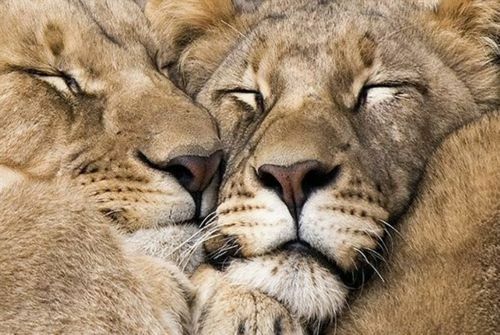 Aww these are sweet pictures of lions!! I've always loved monkeys!